Global Financial Integrity (GFI), the Norwegian School of Economics and a team of global experts released a study showing that since 1980 developing countries lost US$16.3 trillion dollars through broad leakages in the balance of payments, trade misinvoicing, and recorded financial transfers. These resources represent immense social costs that have been borne by the citizens of developing countries around the globe. Funding for the report was provided by the Research Council of Norway and research assistance was provided by economists in Brazil, India, and Nigeria. 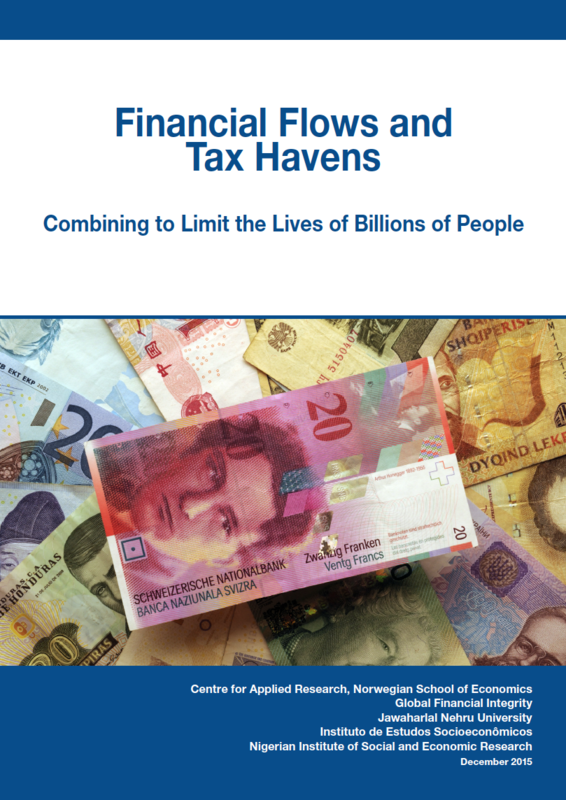 Titled “Financial Flows and Tax Havens: Combining to Limit the Lives of Billions of People,” the report demonstrates that developing countries have effectively served as net-creditors to the rest of the world with tax havens playing a major role in the flight of unrecorded capital. For example, in 2011 tax haven holdings of total developing country wealth were valued at US$4.4 trillion, which exacerbated inequality and undermined good governance and economic growth. 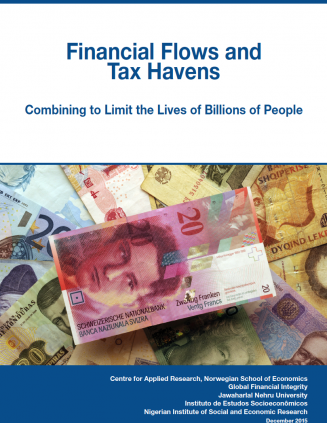 This is the most comprehensive analysis of global financial flows impacting developing countries compiled to date and focuses particular attention on the deleterious effects of offshore tax havens. A portion of licit financial flows is addressed as well, because with both flow data and deposit data it is often difficult to disaggregate between legally and illegally derived components. Criminal: It is not clear whether the totality of drug trading, human trafficking, counterfeiting, smuggling, and more lead to net transfers into or out of developing countries. Same-Invoice Faking: Bilateral trade data reveal re-invoicing of transactions, usually through offshore entities, but do not reveal misinvoicing within the same documents exchanged between exporters and importers. Intellectual Property and Services: Only merchandise trade is encompassed within the data analysis of trade misinvoicing, and we offer an approximating adjustment for intangibles. Much improved statistical compilation and reporting is required in order to have a more adequate picture of global financial flows, a task that urgently needs to be undertaken in combination by the International Monetary Fund, World Bank, United Nations, Organization of Economic Cooperation and Development, and the Bank for International Settlements. We offer a number of alternative approaches to analysis of available data. China presents an especially thorny problem because it is the biggest exporter of both licit and illicit capital and because financial flows through Hong Kong are problematic. We define Net Resource Transfers (NRT) as net recorded flows into or out of a country less outflows of illicit capital. We do not net out illicit flows in both directions because illicit inflows are unrecorded and do not benefit developing countries as do inflows of recorded capital. 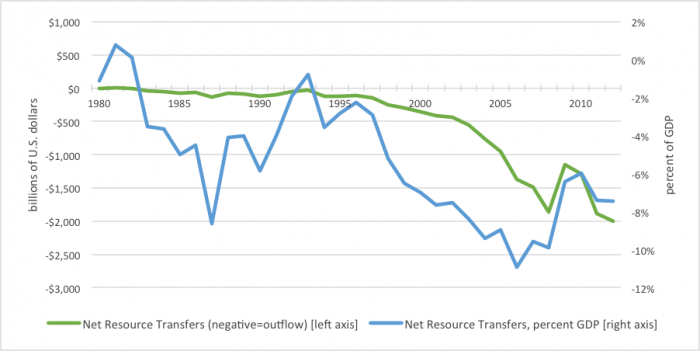 The most revealing picture emerging from this analysis is reproduced below, showing that since the early 1980s, NRT for all developing countries have been mostly large and negative, indicating sustained and significant outflows from the developing world. The NRT line is largely negative regardless of whether it is in nominal terms (green line) or expressed as a percent of developing countries’ GDP (blue line). We estimate that illicit outflows account for nearly 82 percent of all NRTs from developing countries. Offshore tax havens, beginning in the 1930s and exploding across the world since, undermine the capitalist system. Adam Smith expected that people of principle and character would operate the free markets he envisioned. Illicit flows, financial secrecy, and tax evasion have forestalled his ambitions for equitable economic participation by all. At the center of this most unfortunate development sit the offshore centers facilitating criminal, corrupt, and commercially tax evading financial flows, having their most damaging impact on the poor of the world. It cannot be argued that the small role tax havens may play in legitimate dealings justifies their far more damaging role in intermediating illicit flows which are the main drivers of NRTs from developing countries. Our analysis indicates that residents of developing countries held US$4.4 trillion in assets in tax havens in 2011, the latest year for which data is available. Other studies of this phenomenon find even higher numbers. There is perhaps no greater driver of inequality within developing countries than the combination of illicit financial flows and offshore tax havens. These mechanisms and facilitating entities benefit the rich—we call them the “1 percent” for convenience—and harm the middle class and poor. Even the inflow side of illicit financial movements benefits primarily the rich who are escaping customs duties, VAT assessments, and income taxes through such processes. Our shared world would greatly benefit by purposefully strengthening financial transparency in capital and trade movements and in wealth repositories. 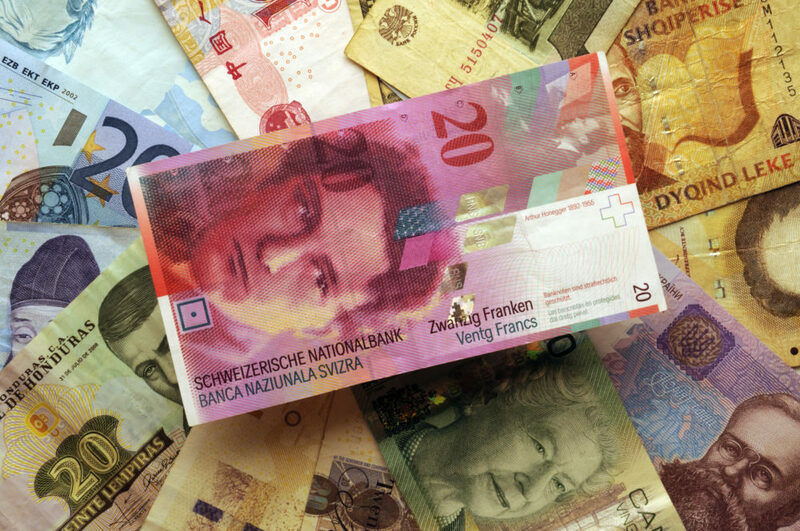 Much improved statistical compilation and reporting is required in order to have a more adequate picture of global financial flows; a task that urgently needs to be undertaken collaboratively by the International Monetary Fund, World Bank, United Nations, Organization of Economic Cooperation and Development, and the Bank for International Settlements. The report also highlights the need for much greater transparency in domestic and global financial systems, particularly with regards to tax haven jurisdictions. Global Financial Integrity advocates for governments to create public registries of beneficial ownership, so that companies and individuals cannot keep secret accounts to transfer and utilize funds, illicit or otherwise. Financial institutions and government authorities should be wary of transactions without verified beneficial ownership information and consider applying extra scrutiny in such cases. This study was made possible by the efforts and contributions of a large number of people working together across five countries and continents. The main authors of this publication are Dr. Dev Kar, Chief Economist at Global Financial Integrity (GFI) and Dr. Guttorm Schjelderup, Professor of both Economics and Business Economics at the Norwegian School of Economics. GFI Senior Economist Matthew Salomon and GFI President Raymond Baker also provided valuable contributions to the writing of this report. Dr. Arun Kumar at the Jawaharlal Nehru University, Francisco José Sadeck Filho with the Instituto de Estudos Socioeconômicos, and Professor Godwin Akpokodje at the Nigerian Institute of Social and Economic Research contributed to the wealth of data found in this report. Additional research and data support was provided by economists Sarah Freitas, Brian LeBlanc, and Joseph Spanjers at Global Financial Integrity, along with Shunqin (Sophia) Chen, Maximilian Kremer, Yuchen Ma, Simón Ramírez, Matthieu Rouyer, and many other research interns at GFI and the other contributing organizations. The final report was also made possible thanks to expert reviews by Dr. Tina Soreide, Professor of Law and Economics at the Norwegian School of Economics, as well as Dr. Armando José Garcia Pires, with the Centre for Applied Research at the Norwegian School of Economics, and Nathalie Beghin at the Instituto de Estudos Socioeconômicos. Additional editorial support was provided by Christine Clough at Global Financial Integrity, along with Emily Armstrong, Loosi Azarian, Tom Cardamone, Clark Gascoigne, Sam Lucas, Channing May, and Daniel Neale, also at GFI. Gil and Lynne Leigh of Modern Media and Brija Johnson of Global Financial Integrity contributed to the design and layout of this report.